Instructions Manual in Japanese language... 🤷 Box in good condition... Fast delivery.. Highly Recommend Affordable and good performance. Tested right away after delivery.Noise is quite ok in both normal and high-power mode compared to my old vacuum( which is very loud). Wife is pleased with the purchase. Hope its durable. I already hang it after testing. Overall its a good purchase. Highly Recommend Fast delivery, good product. Thanks seller. Delivery was fast item seem to be good to use. Works well so far. Received quite fast. Fast delivery, rather powerful for its price. Very value for money. Vacumm suction moderate. Good for light dusting. The difference between the red Supersonic and Purple IRoom model. The red is a upgraded model,it is the latest model and design. With better suction and better battery life. It is our flagship model, the best seller. The Purple IRoom is a more economical model.. When can delivery, tomorrow possible? HI Customer, Qdelivery takes 2-3 working Days. Thanks! Hi, $78 includes dust mite brush? Can I use this item everyday? HI Customer,Yes mite brush can be used everyday. thanks! Hello, my airbot vacuum still charging? Tried charging with several places but still not working. How do I tap on the warranty? Please take a short video showing the product quality issue or any defective parts. Our product engineer will look into the matter and prepare your service. What is the weight if the vacuum? Is the top part if the vacuum very heavy? Thank you. I purchased the supersonics with 2 Year's Warranty. Should i expect to get a warranty card or need to register online or anywhere? Do I have to send out the back page? Can I self collect today if I purchase now ? Hi Dear, We're sorry, NO self collection. 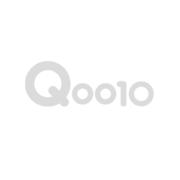 Qoo10 will deliver only. Thanks Dear.